World Tuberculosis Day is observed on 24th March annually to raise awareness about global TB (Tuberculosis) epidemic and to accelerate global efforts for towards its elimination. The campaigns of “World Tuberculosis Day” are marked by WHO (World Health Organization) – a specialized agency under United Nations, working for global public health. WHO marks eight global public health campaigns annually and “World Tuberculosis Day” is one of them. On the day campaigns are organized at grass root level by WHO, local governments and other relevant organizations to raise general awareness about the TB infection and its cure. People are also made aware of the hazardous effects of TB on health, wealth and social status of an individual. The first “World Tuberculosis Day” was hosted in 1995 by WHO and KNCV (Royal Netherlands Tuberculosis Foundation) at Den Haag, Netherlands. Tuberculosis was first discovered by the Dr. Robert Koch in the year 1882 and amazingly announced by him to the small group of scientists at “the University of Berlin’s Institute of Hygiene” about the cause of tuberculosis means the TB bacillus. He announced publically about this virulent human infectious disease and explained about the aetiology of the tuberculosis through the presentation of many microscope slides. During his announcement in the Berlin, it was spreading very fast in the Europe and the Americas of which the death ratio was one out of seven. His discovery about the tuberculosis had opened a big door in front of the people to get diagnosed and cured of tuberculosis. 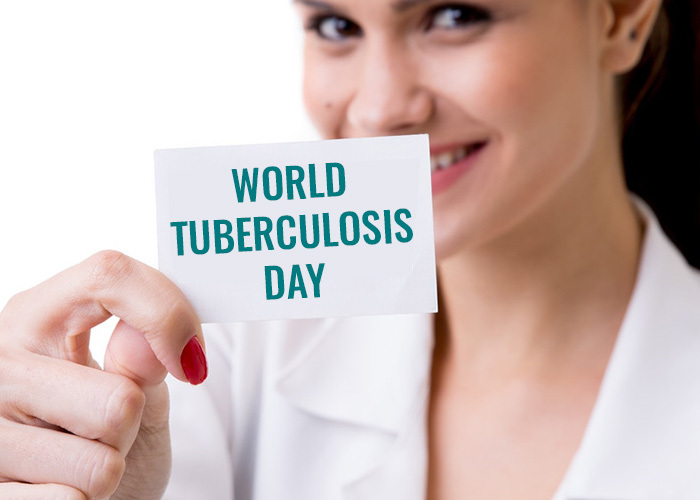 World TB Day/World Tuberculosis Day 2019 was celebrated all over the world on Sunday, 24th of March. The versatile theme of 2019 shows the urgency to act against the deadly disease of tuberculosis. It focuses on building accountability, ending discrimination, providing sufficient financing for researches and scaling up prevention and treatment. Prime Minister Narendra Modi said on the occasion that the government is working hard to make India TB free by the year 2025. He also said that various campaigns and initiatives are providing complete support to the TB patients as well as the regional and state level health care services. WHO (World Health Organisation) launched an initiative named “Find. Treat. All.” with the hash tag #EndTB. It also invited governments, NGOs, healthcare specialists and civil societies around the world to collaborate and fight TB under the banner of the initiative. Various NGOs and member of civil societies initiated various campaigns to fight TB and organised camps to spread the awareness and precautions to be taken if anyone gets infected by the virus. The campaign also showcased the importance of complete treatment and following a strict medication provided by the health care specialists. March 24th coincides with the date when the bacteria, causing TB was discovered by Dr. Robert Koch in 1882. Dr. Koch surprised scientists at University of Berlin’s, Institute of Hygiene by declaring to them that he had discovered the bacteria which causes Tuberculosis – TB-Bacillus. The discovery came at a time when TB was spreading furiously through continents of Europe and North-South America and was a remarkable achievement which opened the path towards the cure of Tuberculosis. On the 100th anniversary of Tuberculosis presentation of the Dr. Robert Koch, “the International Union against Tuberculosis and Lung Disease (IUATLD)” had planned to establish 24th of March to be celebrated as an annual official event, the World TB Day. This was established by the effort of both the IUATLD and the WHO under the theme “Defeat TB: Now and forever”. However, it was not announced as an official event to be celebrated annually by the WHO’s World Health Assembly and the UN. Tuberculosis cause Millions death globally every year and is not only a severe health issue but also a major hindrance towards the achievement of Global Sustainable Development. Though, persistent efforts are being made by WHO and other organizations towards elimination of TB; it still continues to be one of the world’s top 10 killer diseases. “World Tuberculosis Day” is the occasion when the countries from around the world reaffirm their commitment towards eradication of TB epidemic and support clinical advancements in finding new and effective methods for its cure. Tuberculosis is a Bacterial infection caused by the bacteria – “Mycobacterium Tuberculosis”. The infection generally affects lungs and most of the times lack any prominent symptoms; a state known as “Latent tuberculosis”. The infection when untreated can spread to other organs and show symptoms like – cough with blood, fever, sweating in night and weight loss. Despite decades of global efforts by the World Health Organization and other relevant organizations, Tuberculosis still continues to take an estimated 4500 lives every day. As per a 2017 report by WHO, around 10.4 Million people were clinically confirmed of having TB in 2015. In 2016, 1.8 Millions were reported to have lost their lives. These figures mostly were from developing, underdeveloped or third world countries, where the general condition of public health and amenities were in a poor state. The disease thrives in marginalized sections of the society, like – minorities, labors, miners or people engaged in low and menial jobs. The emergence of Multi Drug Resistance TB (MDR-TB) which is immune to any traditional TB treatment is a global concern for the governments or organizations rallying for the cause of TB, as well as for the medical fraternity. As per the 2015 global report there were around 450 persons infected with MDR-TB. Though, the number of those infected with MDR-TB is very small; the possibility of it spreading to other parts of world in these days of globalization must not be neglected. “World Tuberculosis Day” is a big step towards preventing the transmission and curing the TB epidemic. Apart from the above mentioned reasons, the eradication of TB is also mandatory for UN’s Sustainable Development Goals of 2030, as goal number 3 states to achieve– “Good Health and Well Being”. The annual observance of “World Tuberculosis Day” on 24th March is a step closer towards achieving Goal number 3 and overall sustainable development. DOTS also known as TB-DOTS came as a major breakthrough in the treatment of Tuberculosis. An abbreviation for “Directly Observed Treatment, Short course” and developed during 80s, is a globally adopted method to control tuberculosis, also recommended by the World Health Organization. DOTS strategy has a global acceptance as the treatment of TB, both in developed, underdeveloped and third world countries. In the words of WHO Director General as told to media on “World TB Day 1997” at Berlin – “DOTS is the biggest health breakthrough of this decade, according to lives we will be able to save”. His words came true and today the DOTS is credited of saving nearly 6 Million lives and successfully treating 41 Million people since its emergence. The observation of “World Tuberculosis Day” is marked by a variety of events throughout the globe, organized by stakeholders like WHO, IUATLD, KNCV, ECDC (European Centre for Disease Prevention and Control) and other relevant government or non government organizations. The agencies present their annual reports on the progress made by previous efforts in eliminating TB. Many local governments or organizations working for the health cause also take part in the observation to spread general awareness about the disease and its cure. Medical camps are organized at various places mainly in developing and underdeveloped countries to provide free check up and test for the presence of TB bacteria. “World Tuberculosis Day” is also marked by high level conferences and meetings in United Nations, WHO and other relevant organizations. Notable scientists, doctors, delegates and ministers are present to assess the situation and give their suggestions on ways to eliminate TB and to discuss the affects of previous policies in this regard. Fund raising events are also held across the globe by various organizations to support the elimination of TB in underdeveloped and third world countries. “World Tuberculosis Day” India – Why? Today India is one of the world’s fastest growing economies, but still lag behind in public health and hygiene as compared to its competitors. India accounts to a quarter of total TB cases reported from across the world. South-East Asia alone constitutes nearly half of the total global reported cases. With nearly 1.3 Billion Indians living in abject poverty, with no access to health care facilities and basic amenities, TB remains a grave concern for the government and a major hindrance to India’s economic and social development. On “World Tuberculosis Day” the government and people of India reaffirm their resolve for eliminating TB and making efforts to financially, politically and voluntarily support the campaigns in this regard. The Government of India, under the Ministry of Health and Family Welfare has been spearheading many campaigns and framing policies to make its population TB free. In the year 2000, then President of the United States of America, Bill Clinton was invited by the Government of India on the occasion of “World Tuberculosis Day”. Mr. Clinton obliged by administering WHO recommended DOTS therapy to patients at Mahavir Hospital in Hyderabad, India. The elimination of TB is a majorly considered in Indian Government’s strategic plan of 2017 to 2025. In the plan four pillars of TB elimination have been stressed upon – “Detect-Treat-Prevent-Build” or DTPB and come under Revised National Tuberculosis Program (RNTCP) under the Ministry of Health and Family Welfare. It is an ambitious project of the government aimed at eliminating TB from India, five years ahead of UN’s target for global Sustainable Development by 2030. 1) Incentive for private doctors and patients for reporting TB cases. 2) Modern MIS (Management Information System) to track the cases of TB diagnosis. 3) Engaging private sectors for the cause. 4) Universal Drugs Susceptibility Test – Appropriate treatment by testing drug resistance in patients. 5) Daily treatment to reduce the intake of pills. 6) Bedaquiline and Delaminid to be introduced as new TB drugs in 7states and Union Territories. 7) Providing nutritional support of Rs 500 to patients during the treatment. 8) Providing digital support platforms like eNIKSHAY and 99DOTS. With its persistent efforts to eliminate TB, the Government of India in collaboration with respective governments of states and Union Territories has made commendable achievements towards bringing down the figures of number of TB cases and is hopefully to complete wipe out TB form its soil by 2025. The first high level meeting of United Nations on Tuberculosis was held on 26th September 2018 at United Nations’ New York Head Quarters. Heads of States were gathered at the meeting to reaffirm their resolve to eliminate TB and providing support for the cause. A central theme was assigned to the meeting, which was – “United to End Tuberculosis: An Urgent Global Response to a Global Epidemic”. The UN high level meeting of 2018 was a giant step forward towards the elimination of TB, by the governments and interested partners. It was an outcome of a Ministerial Conference on ending TB, held in Moscow during 16th – 17th November 2017; which saw a commitment by ministers of at least 120 countries to eliminate Tuberculosis. How to Get Engaged/Celebrate/Observe “World Tuberculosis Day”? Various activities are organized by the concerned agencies on “World Tuberculosis Day” to raise people’s awareness about TB and also to further the cause of its elimination. It is a global event financed and support by governments and relevant organizations and reaching out to people at grass root level. The events, especially in developed and under developed countries provide tremendous opportunities to get engage and show your concern towards elimination of TB form your country as well as globally. Some of the ways to get engaged on “World Tuberculosis Day” are listed below, to help you in deciding on your plans for the day. The one of the major causes behind the wide spread of TB epidemic has been less awareness of people about the disease, its symptoms, causes and cures. Many people, mostly from lower strata of society don’t even know that they are infected until the infection reaches its final stage. Such low awareness about the disease not only risks the life of those infected but also the life of those in their proximity. Raising awareness of general public by whatever means possible will definitely help in bringing down the number of TB patients and also the number of those who are at risk of getting infected. Discuss about the Tuberculosis, its symptoms, treatment and modes of transmission. Know the cures of TB and possible time for complete recovery etc. Discuss whatever relevant topic comes to your mind. Discuss about the policies of your government and efforts by local authorities towards eliminating the epidemic. Also discuss about the prospects of organizing a debate or a medical camp in your community, village, school, office etc. Discussion is the best way to give your opinion as well as gather more knowledge about the subject. There has to be an event organized in your city, community or village on “World Tuberculosis Day”. Many Non Government Organizations and government agencies organize events to observe the day. You can volunteer in such events and work with the organizers and other partners to further the cause. Many hospitals organize free medical checkup camps at different places and need volunteers to reach out to people and other purposes. Volunteering is a good way of expressing your concern and also to get to the root of the situation. Encourage your family, friends and relatives to be a part of “World Tuberculosis Day” celebrations in whatever way they can. Inform them about the plight of people suffering from the disease and the financial and social constraints their family faces. Tell them about how they could be part of various campaigns by volunteering or by contributing financially. Organize a felicitation ceremony to congratulate someone you know and who has done something extra ordinary related to TB. S/He could be a medical practitioner in your locality who is giving free treatment for TB or a employee of an NGO working for the cause of TB. Whoever he/she might be, felicitating him will encourage him to continue fighting with TB with more zeal and also will inspire others to follow suit. The main suffers of TB come from the socially deprived sections or poor sections of society. Such people don’t have poor or no access to health facilities and live in poverty isolated from the rest of the world. Dwelling among them, there may be many who might be having TB, but don’t even know about it. Reach out to them and act as a liaison between them and the agencies working for their welfare and elimination of TB. Billions of Dollars are required annually to fund researches, events, and campaigns on TB. Though TB is a global concern requiring Billions you can still contribute financially at will starting from a very genuine amount. You can contribute to organize an event or to support the medication of patients. Ever amount donated by you will be worth it irrespective of the amount you donate. World Tuberculosis Day Theme 2019 “IT’S TIME…” to get ready for World TB Day 2019 and showcasing the urgency and time for action. World Tuberculosis Day Theme 2018 – “Wanted: Leaders for a TB Free World”. World Tuberculosis Day Theme 2017 – “Unite to End TB”. World Tuberculosis Day Theme 2016 – “Unite to End TB”. World Tuberculosis Day Theme 2015 – “Gear up to End TB”. World Tuberculosis Day Theme 2014 – “Reach the Three Million: A TB Test,Treatment and Cure for All”. World Tuberculosis Day Theme 2013 – “Stop TB in my Lifetime”. World Tuberculosis Day Theme 2012 – “Call For a World Free of TB”. World Tuberculosis Day Theme 2011 – “Transforming the Fight Towards Elimination”. World Tuberculosis Day Theme 2010 – “Innovate to Accelerate Action”. World Tuberculosis Day Theme 2008-2009 – “I am stopping TB”. World Tuberculosis Day Theme 2007 – “TB Anywhere is TB Everywhere”. World Tuberculosis Day Theme 2006 – “Actions For Life-Towards a World Free of TB”. World Tuberculosis Day Theme 2005 – “Frontline TB Care Providers: Heroes in the Fight against TB”. World Tuberculosis Day Theme 2004 – “Every Breath Counts-Stop TB Now”! World Tuberculosis Day Theme 2003 – “DOTS Cured Me-it will cure you too”! World Tuberculosis Day Theme 2002 – “Stop TB, Fight Poverty”. World Tuberculosis Day Theme 2001 – “DOTS: TB Cure for All”. World Tuberculosis Day Theme 2000 – “Forging New Partnerships to Stop TB”. World Tuberculosis Day Theme 1999 – “Stop TB, Use DOTS”. World Tuberculosis Day Theme 1998 – “DOTS Success Stories”. World Tuberculosis Day Theme 1997 – “Use DOTS More Widely”.